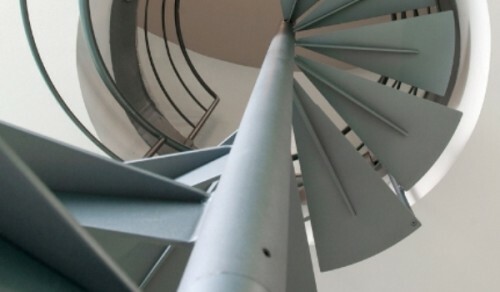 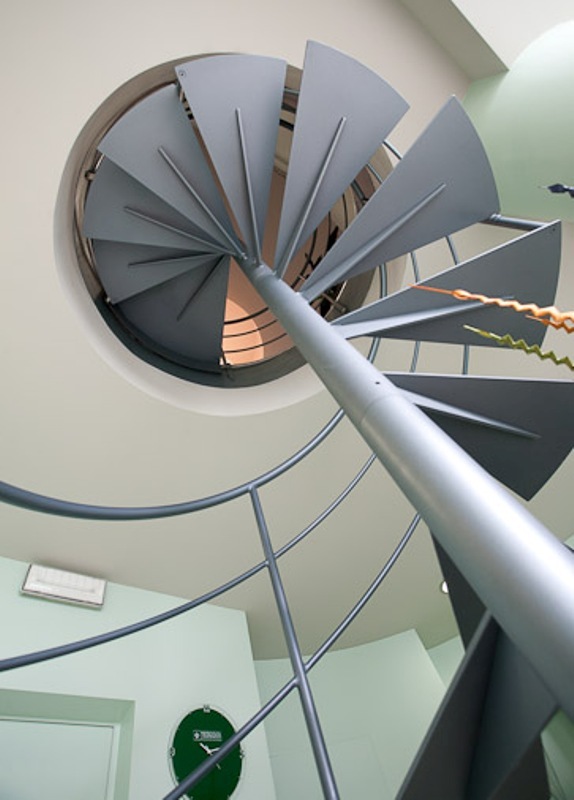 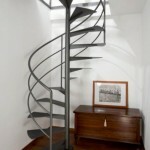 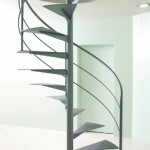 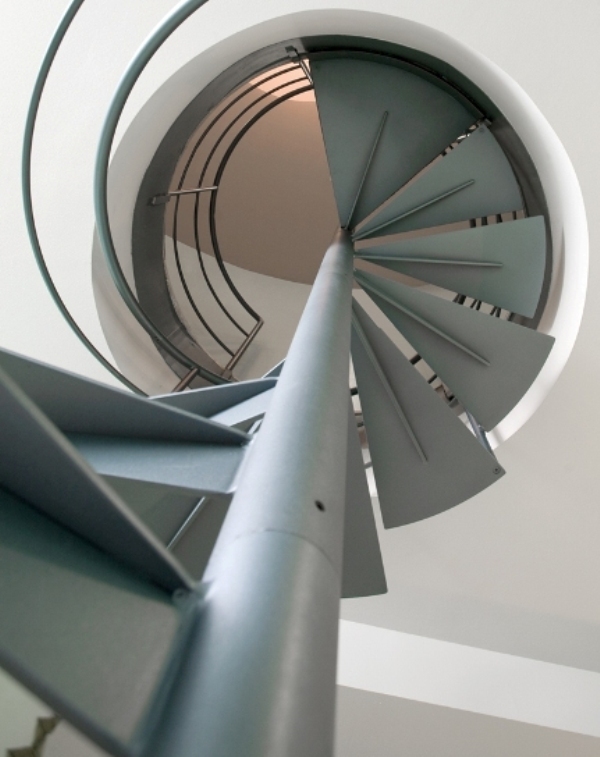 Round-based iron spiral stair totally made of steel. 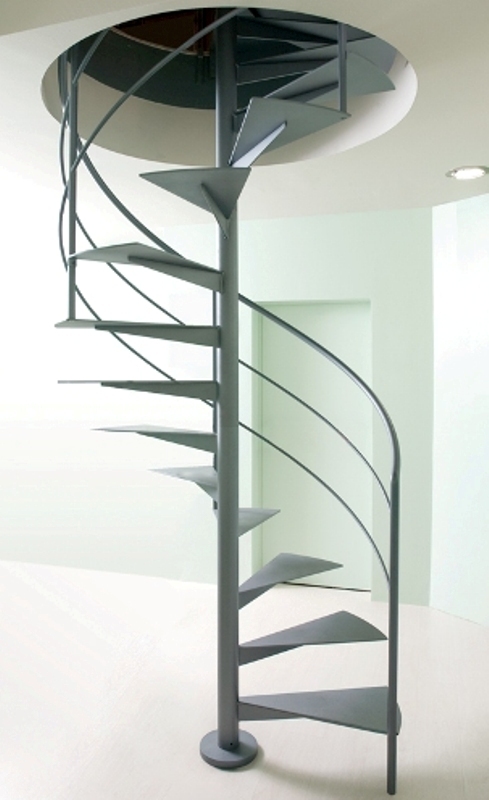 Structure painted with micaceous iron glaze, 609.0412 finish, dark grey. 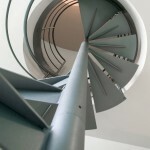 Stair made of 3/4 stumps depending on length. 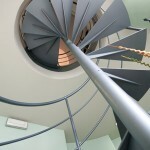 Steps soldered to the central pole and provided with self-bearing shelves below the steps. 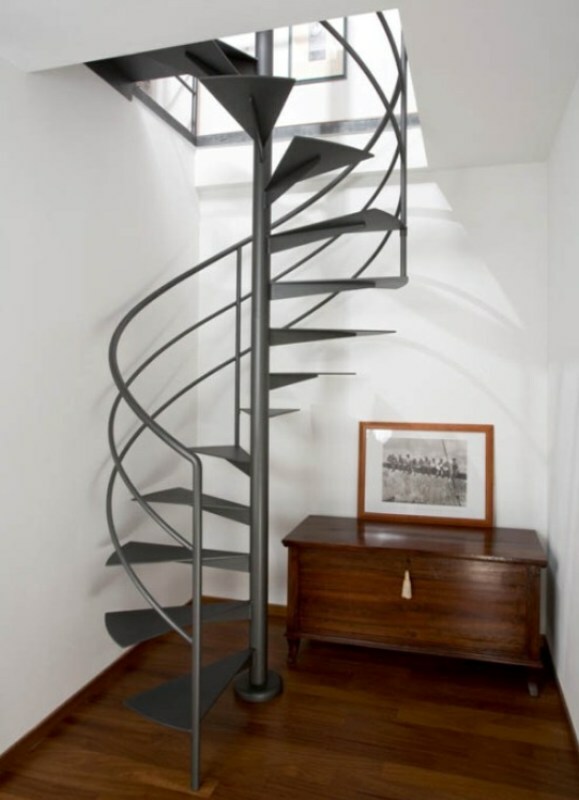 AIR banister: 3 steel rails.